welcome to a new category on our blog! Our artisanal insights is all about tips and tricks, advice and insights (who would have thought?!) on a variety of topics. When we are at a loss on how to do something 'right', we'll try to find skilled people to show us how. We are really excited about this category as it means that we'll learn a lot too! 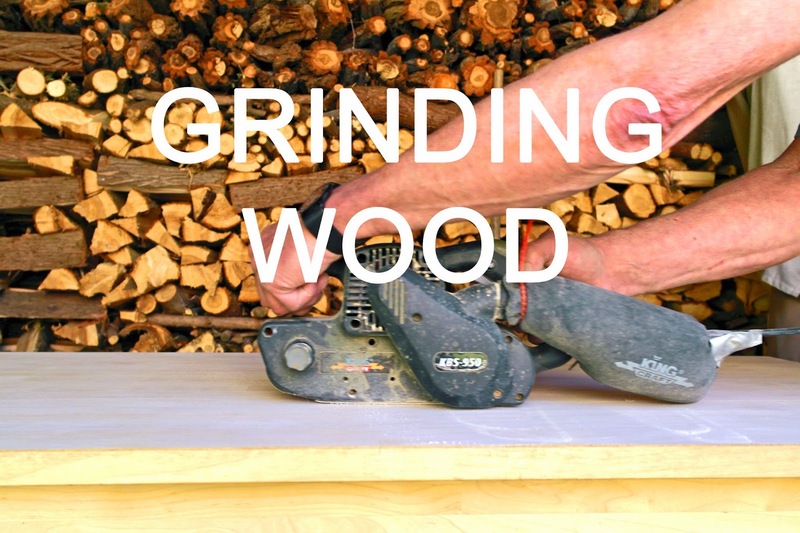 This first post is about grinding wood. 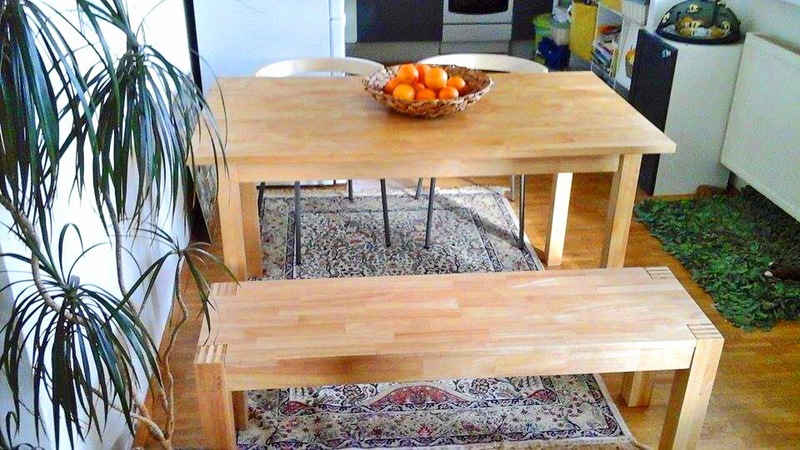 My boyfriend and I bought this wood table for a really good price for his mother. 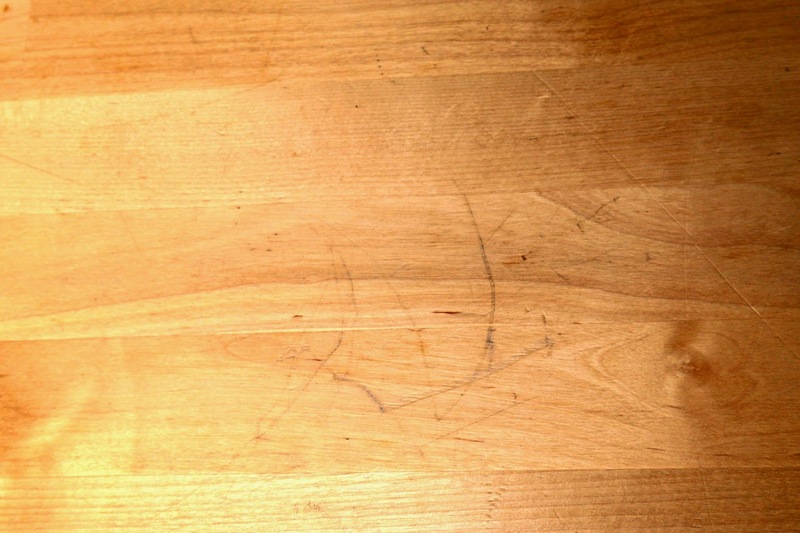 There were a lot of scratches and marks on the table and nails and screws sticking in the table legs. 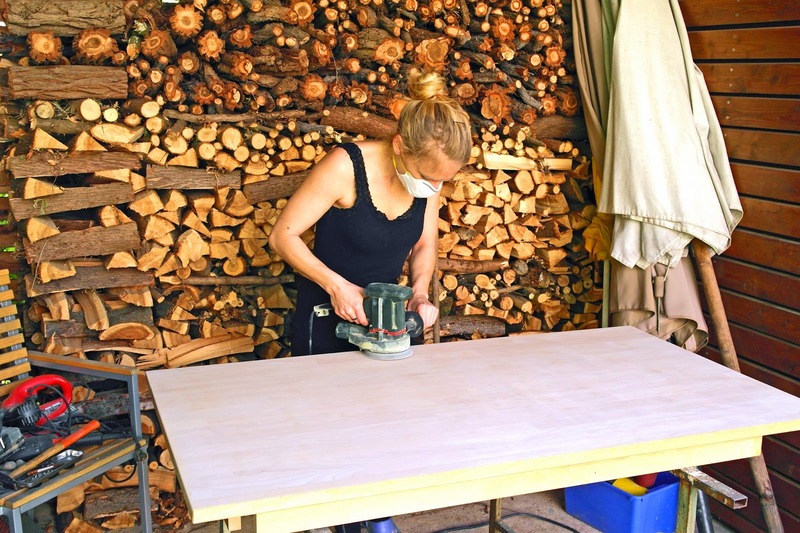 As I love working with wood and the idea of this new category was rattling in our heads, I packed the table into my car and drove to Graz. I asked my father to help me with this project, mainly for 3 reasons: it is always fun to work with him, he has all the essential knowledge and is in possession of every tool you can possibly think of. Tip no. 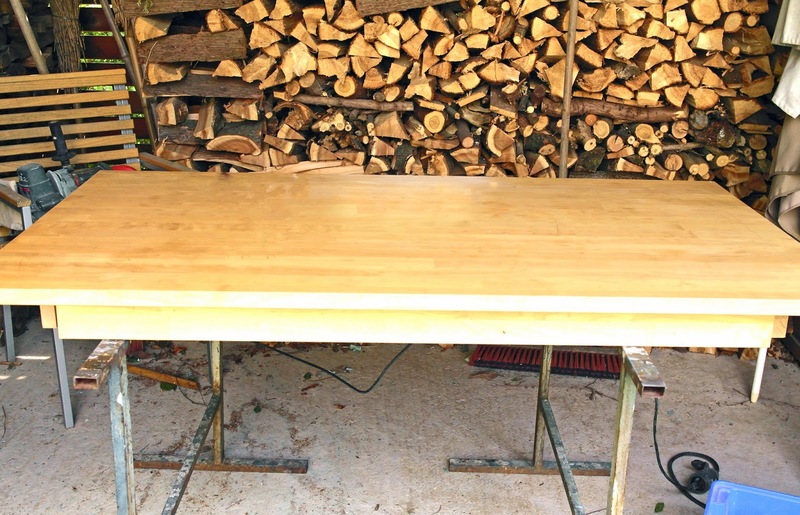 1: You don't want to grind a table by hand, unless you're really keen on working for endless hours and sore muscles. The pictures above show you how the table looked like in the beginning. Not much of a beauty, I have to admit. I am not really experienced when it comes to grinding wood, therefore my father took on the task of the first flash removal. When you're not used to handling a belt sander, you might easily add more scratches to the wood than there were in the first place. As he told me, the ground rule for grinding is: alway double the granulation. What the hell does that mean? 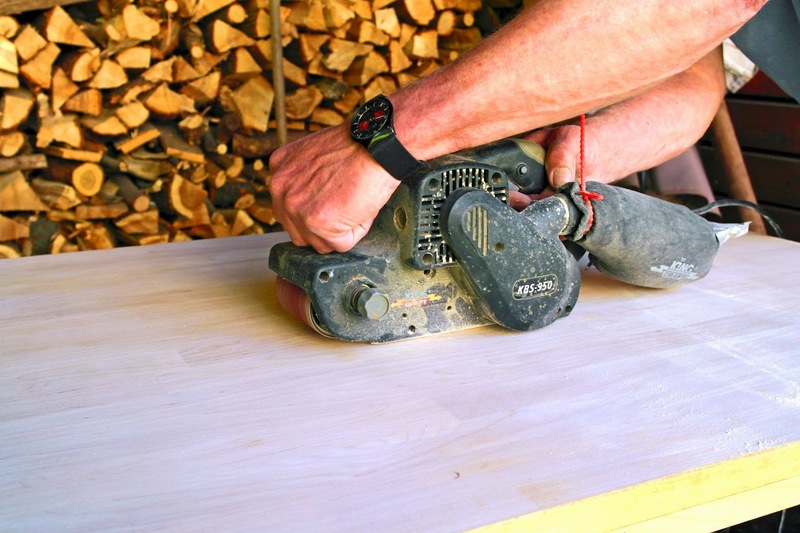 In truth it is a really simple and logic procedure: you start with a belt sander, grinding for 5 minutes using sandpaper-thickness 120, then 10 minutes with 240, 20 minutes with 480 and so on and so forth. Always grind in direction of the fiber! 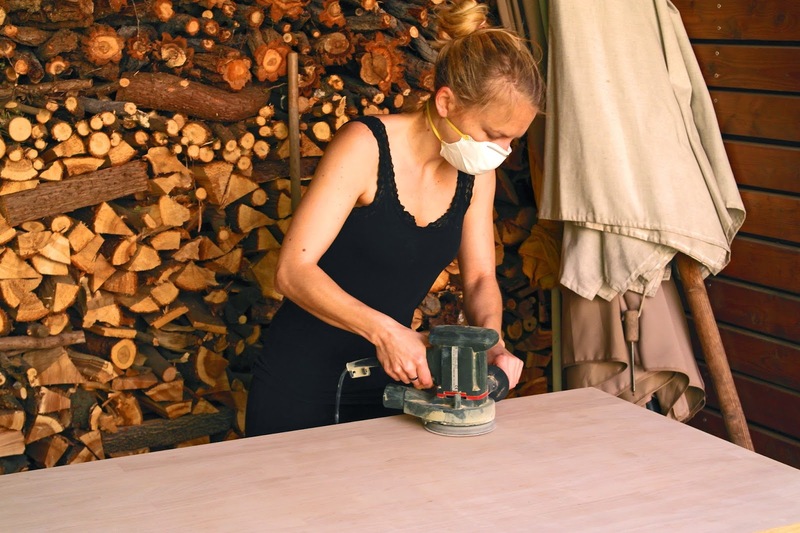 Here you see me completely professional, doing fine grinding with a random orbit sander, using 240 sandpaper-thickness. Needless to say that black is not the color you want to wear when grinding wood. 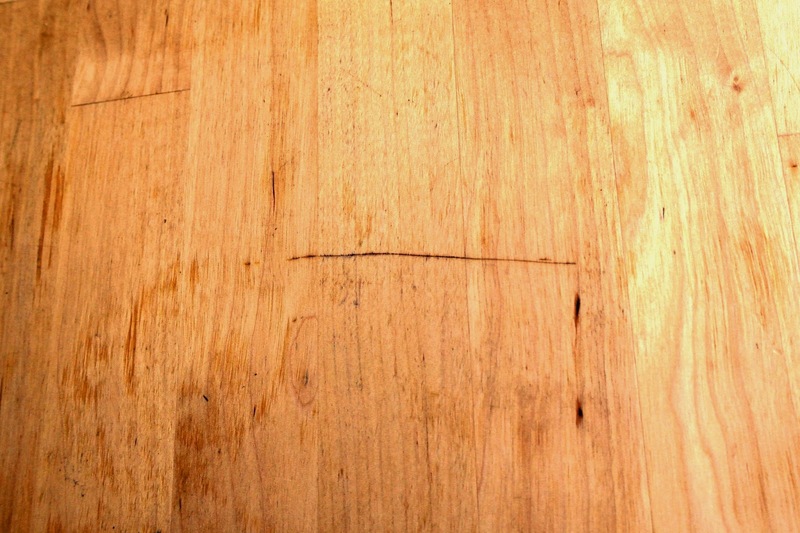 Between the single grinding steps, go over the wood with your hand, that way you can feel where more work has to be done. 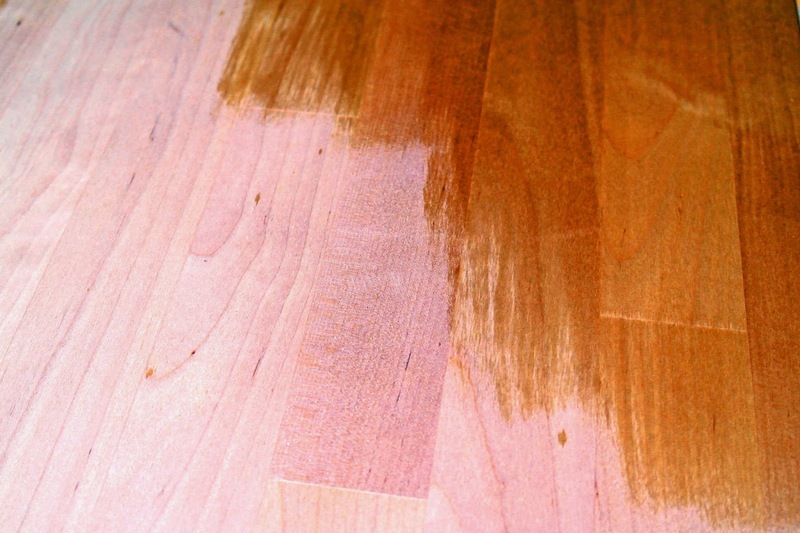 When you're satisfied with the result, thouroughly dust the grinded area. 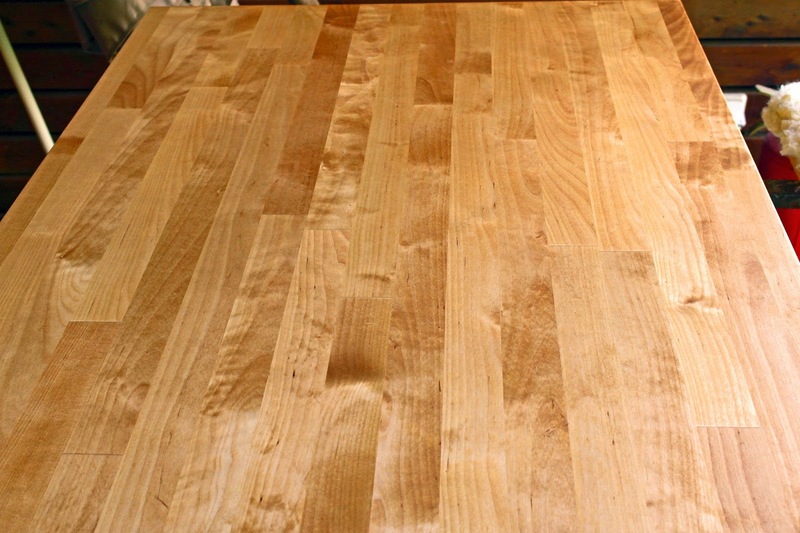 For the finish we used teak oil. It has a nice warm, honey-like color and smells fantastic. 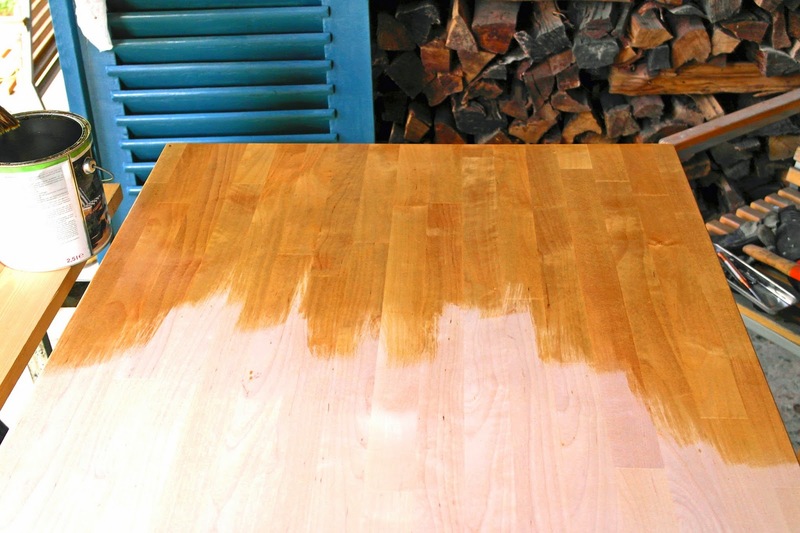 Depending on the wood, you'll have to repeat oiling it for several times (3x for this table). We were highly satisfied with the result! And luckily my mother-in-law loves it too! 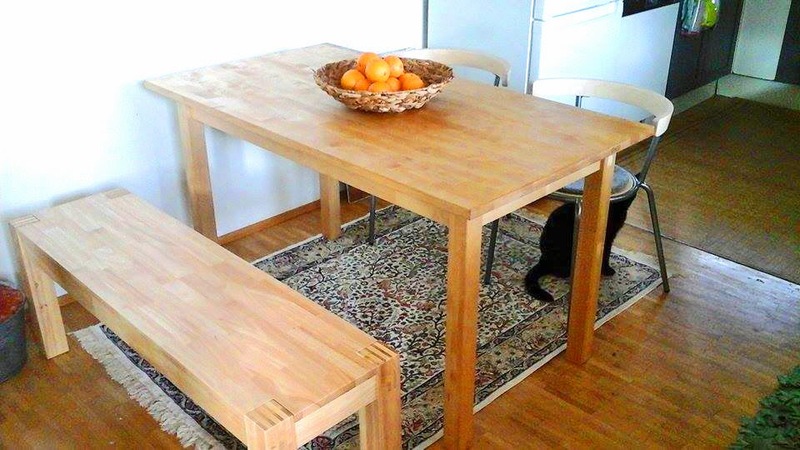 She managed to find a matching seat bench and the combination looks wonderful in her kitchen. I really loved this project and am already planning on what to do for our artisanal insights #2. I hope you like this new category and find it interesting. If you have any suggestions or have been wondering about how to do this and that; let us know! !